There’s no need to feel deflated today, not when you’ve got the perfect excuse to enjoy a puffy, flaky, cheesy treat. May 18 is National Cheese Souffle Day! Back in February, we celebrated National Chocolate Souffle Day by having a friendly little bake-0ff. In front of a live audience. It was our first (and only) interactive food challenge, and we had a blast. It doesn’t matter who won – the point is that we had fun! (Which, of course, means Tara won. Whatever). We were looking forward to repeating the challenge when cheese souffle day rolled around, only minus the streaming video feed this time. The camera was simply too distracting to me. We would, instead, rely on real-time Facebook posts charting our progress. Either way, I wanted an opportunity to avenge my initial souffle misdeeds and earn the title of Souffle King, which has (through a very odd childhood quirk) been a lifelong dream of mine. And then, we learned that we would be in Seattle the day of the challenge. 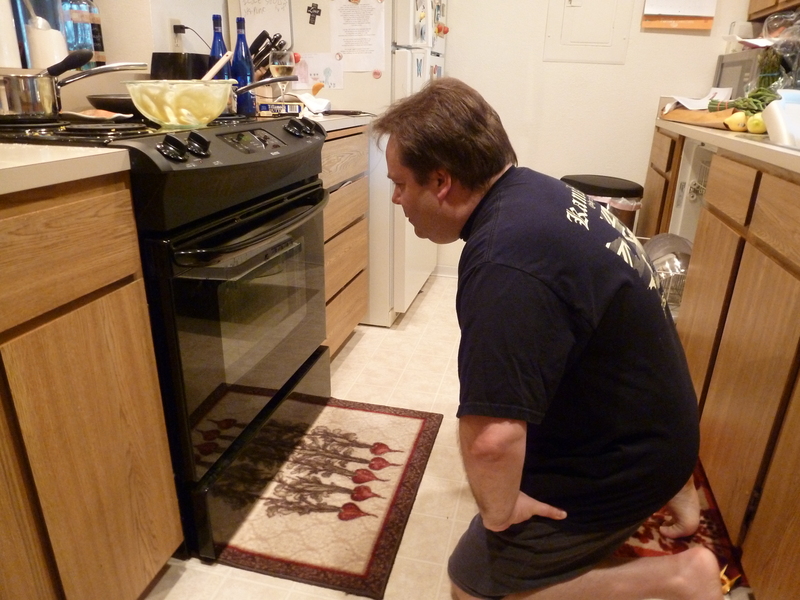 In an unfamiliar kitchen, with unfamiliar utensils and an unfamiliar oven. And busy as hell, to boot. So another interactive challenge seemed like too much trouble. 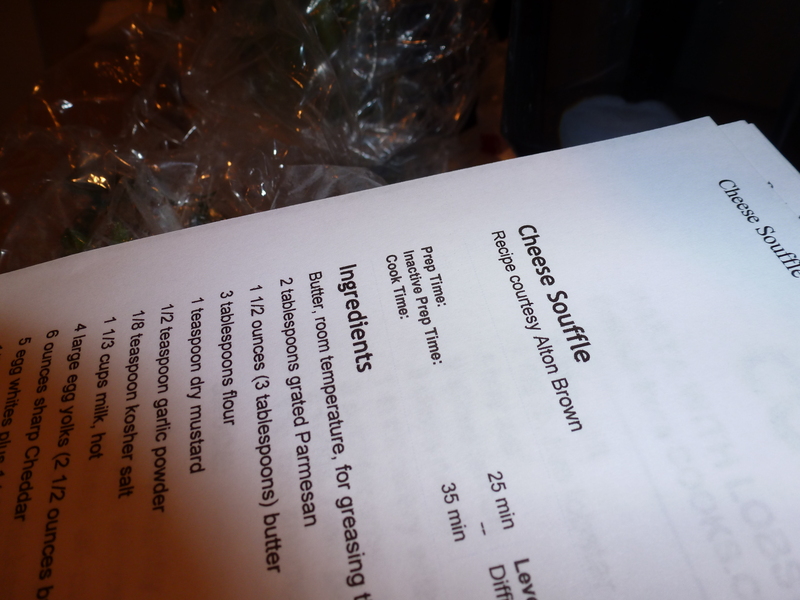 It would be tricky enough just finding the time to make a cheese souffle in the first place. But persevere we must, regardless of the circumstances! So it was full speed ahead, strange kitchen or not. 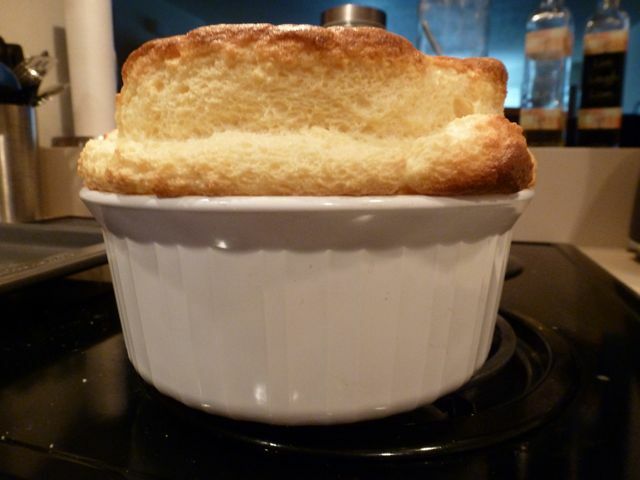 I was much more focused on my souffle this time. 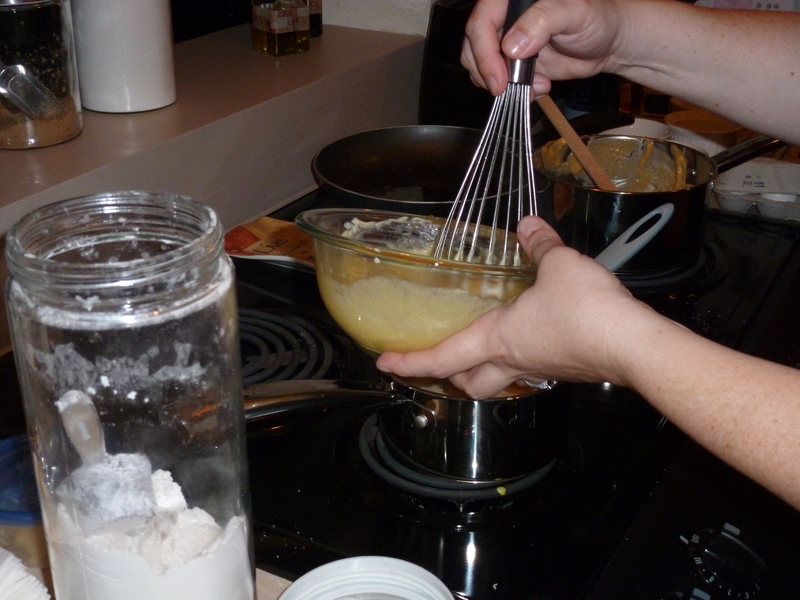 We mixed, we whipped, we stirred, and we baked. And in the end? Well, let’s take a look at some photos first. Waiting anxiously for some rising action. Mark’s souffle doesn’t look half bad! Tara’s souffle is pretty impressive, too. But in the end, there can be only one winner. And though the results were close – both souffles were delicious – in the end, the victory went to…surprisingly and shockingly, I’ll be the first to admit…Mark! So, HA! Redemption is mine. Mine, all mine. Tara’s sharp cheddar and garlic rose impressively and tasted great, but my gruyere and parmesan had a slight edge. Even according to Tara. Yes!! Truthfully though, this was a lot of fun, and souffles are so technically challenging I’m just proud that both of us could make a souffle that rose impressively and tasted great. Good job, babe! they both look ready to dive into! Now I really want a souffle! They were both fantastic! If you’ve never tried making one before…go for it. They’re not nearly as hard as I’d feared. So happy to be part of your challenge. 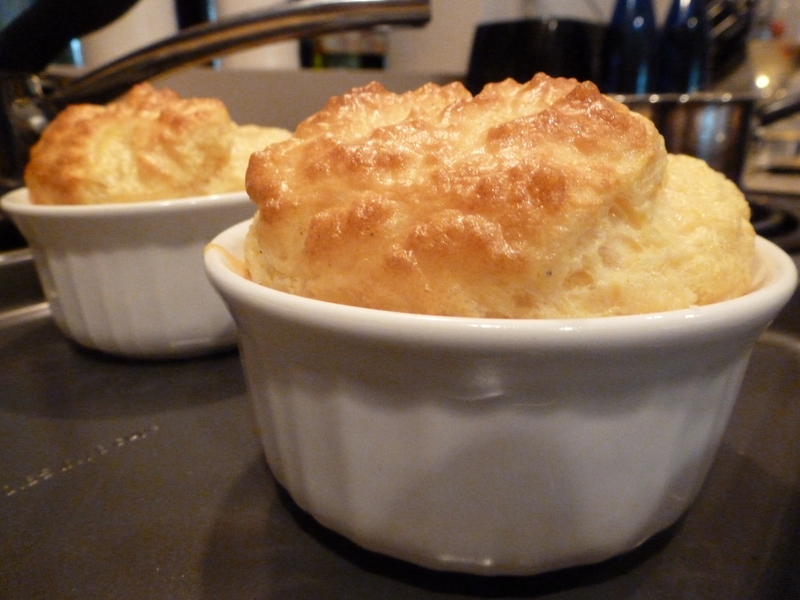 The soufflés were delicious…so I consider both of you winners! How diplomatic of you, lol. And thank you for letting us make a mess of your kitchen! And it was such a glorious mess!